Nature has the best cure for certain ailments. Naturopathy uses herbs, roots, fruits, oils, gums, wax, pollen, insects, worms, pests, and almost every fruiting and non-fruiting member of nature to treat various health issues. But what took me by surprise is a Chinese therapeutic fungus! Yes, you heard me right. There is a fungus called Cordyceps that can be used to treat lung disorders, kidney failure, altitude sickness, and fatigue. To learn more about this friendly fungus, you can either trek the Himalayan towns or scroll down! 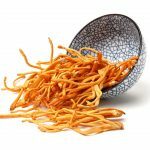 What Are The Benefits Of Cordyceps? What Are The Bioactive Ingredients Of Cordyceps? How Should You Consume Cordyceps? Are There Any Side Effects Of Having Cordyceps? Cordyceps is an edible, caterpillar-shaped fungus that grows in the Himalayan regions of Nepal, Tibet, and parts of China (at an elevation of 3600–5000 m). Cordyceps is a genus of parasitic fungus that grows on the larvae of insects. The fungus attacks the larva of some species of insects (particularly moths and arthropods). It converts each larva to a sclerotium, from which the fruiting body grows. To date, more than 350 cordyceps-related species have been found worldwide based on fungus and/or insect host. Cordyceps sinensis, a.k.a Dongchongxiacao (winter-worm summer-grass) in Chinese, is one of the most famous traditional Chinese medicines. A few commonly sold substitutes are C. militaris, C. liangshanensis, C. gunnii, and C. Cicadicola. The Chinese believe(d) that this endoparasitoid fungal extract can be used as a kidney tonic, expectorant, decongestant, aphrodisiac, antihemorrhagic (stops bleeding), anticancer, antioxidant, and revitalizing agent (1). The bioactive compounds in cordyceps make it an ideal candidate for treating chronic ailments and acute issues. Let’s look at what it does to each of our body organs. Lung diseases could arise due to factors like a bacterial or fungal invasion, reactive oxygen species (ROS), heavy metal ions, and inflammation. Water and alcohol extracts of cordyceps have shown significant antioxidant activity against respiratory diseases. Cordyceps can reduce the formation of ROS, clear the congestion (phlegm), and prevent the infiltration of pro-inflammatory cells and chemical messengers (cytokines) (2). These fungi can cure acute and chronic lung disorders like fibrosis, cough, asthma, and obstructive pulmonary disease (COPD). 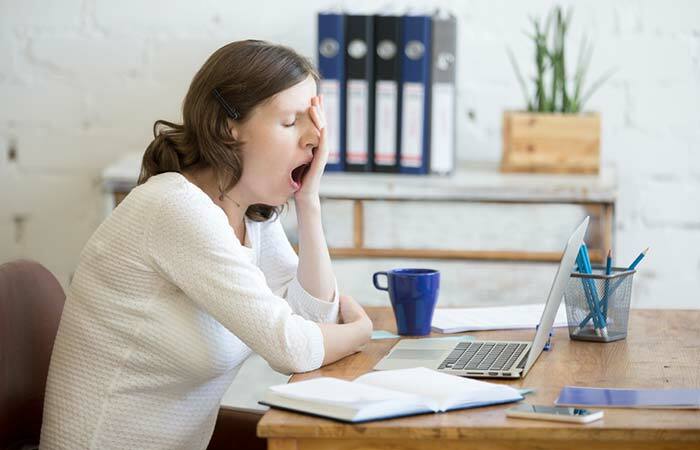 Mental and physical fatigue can affect your performance, eventually leading to a massive burnout. Around 30–70% of such patients also show a few symptoms of major depression (1). Traditional Chinese medicine uses cordyceps to restore health. It hastens recovery from exhaustion because of its anti-stress properties and ability to enhance endurance and stamina. Cordyceps improves uptake and utilization of oxygen, blood flow in the body, heart and liver function, and ATP (energy) generation (1). Aqueous extracts of this fungus have potent antitumor activity. Cordyceps induces cell death in cancer cells, activates the tumor-suppressor genes in your body, and triggers the production of respective enzymes and proteins of the immune system. This wonder fungus can assist in the treatment a horde of cancers, including those of the lung, breast, colon, hepatic, lymphatic, prostate, and skin tissues. This field of study requires more insight and is bound to evolve (1), (3). Cordyceps reduces diabetes too. In a mice study, cordyceps extract lowered blood glucose and triglyceride levels and improved glucose tolerance and insulin sensitivity. The extract can also protect pancreatic beta cells from chemical stress and a high-fat diet-induced inflammation. Cordyceps displays anti-hyperglycemic activities. It indirectly promotes the secretion of insulin and maintains its activity in the blood (1), (4). Cordyceps enhances libido and sexual activity and restores impaired reproductive function in both sexes in humans. A dose of 3 mg/mL of cordyceps parts promoted the production of plasma testosterone in mice (5). Along with an increase in testosterone and estradiol levels in the serum, the sperm count and motility also improved. Throughout this process, the levels of hormones such as prolactin and follicle stimulating hormone (FSH) remained unchanged (6). Cordyceps sinensis has been used for nearly 2,000 years as a kidney tonic in China. Its reno-protective properties can be used to cure various kidney diseases. Extracts of this fungus can reduce the glomerular and renal tubular injury. It also stimulates the production of fibrogenic (healing) cytokines like TGF-β1 to accelerate kidney repair. Studies claim that cordyceps prevent malnutrition in chronic kidney disease (CKD) cases. It also increases the level of serum hemoglobin in such ailing individuals (7). Inhabitants of the high-altitude regions of Nepal and Tibet believe that cordyceps can improve fatigue, cold intolerance, dizziness, frequent nocturia, tinnitus, hyposexuality, and amnesia. Cordyceps improves exercise performance by increasing the blood flow in the body, enhancing oxygen utilization, and acting as an antioxidant. Enhanced oxygen utilization and blood flow, especially to the liver and non-exercising skeletal muscles, may enhance lactate clearance. A 3 g/day dose of cordyceps may allow the athletes to maintain a higher intensity of exercise. The reduction of oxidative stress from high-intensity exercise may delay fatigue (8). Many studies have found no benefits of cordyceps supplementation on aerobic and anaerobic performance. We need more numbers and elucidation in this regard to frame a right and safe dosage of this fungal supplement (8). Coming to the obvious question, what is responsible for these therapeutic benefits? Read on! Many active ingredients, such as cordycepin, polysaccharides, and sterols, have been isolated from various cordyceps species. They account for the range of bioactivities listed above. This fungus is also abundant in nucleosides like adenine, adenosine, cytidine, cytosine, guanine, guanosine, uracil, uridine, hypoxanthine, inosine, thymine, thymidine, 2′-deoxyuridine, 2′-deoxyadenosine, N6-methyladenosine, and 6-hydroxyethyl-adenosine. Sterols are another class of bioactive molecules that are present in cordyceps. They include ergosterol, ergosterol peroxide, cereisterol, β-sitosterol, daucosterol, cholesterol, cholesteryl palmitate, campesterol, and dihydrobrassicasterol. Lauric acid, myristic acid, pentadecanoic acid, palmitoleic acid, palmitic acid, linoleic acid, oleic acid, stearic acid, docosanoic acid, and lignoceric acid are the free fatty acids found in C. sinensis, C. liangshanensis, and C. gunnii, as well as in cultured C. sinensis and C. militaris (1). A bonus! Cordyceps also contains high levels (3–8% of dry weight) of essential carbohydrates – the highest being D-mannitol or cordycepic acid. Due to its osmotic activity, D-mannitol has long been used for the treatment of cerebral edema, traumatic brain injury, and subarachnoid hemorrhage. Its powdered extract clears the airway passage and can be a cure for cystic fibrosis, bronchiectasis, asthma, etc. (1). Boy, that’s a lot of goodness for a fungus! But is it too good to be true? 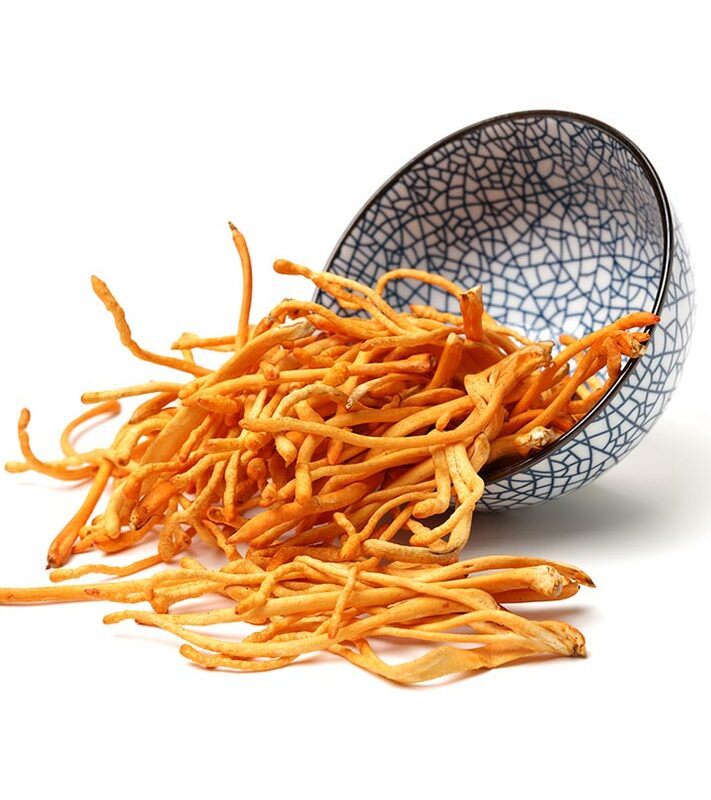 Can we eat cordyceps for lunch or dinner? Check out the details below. There are three main types of products currently available: whole mushrooms, mycelium, and spores. Whole mushrooms are difficult to get and could have quality and activity issues. You can buy them here. That’s why cordyceps extracts are typically marketed in tablet/capsule (buy here) or powder form (buy here) to concentrate certain compounds. You can also find tincture, elixirs (buy here), or liquid extracts (buy here) in the market. Traditionally cultivated cordyceps, i.e., the ones that are grown on caterpillars, worms, or moths, cost thousands of dollars per kg. This could be because of the time, labor, and effort needed and/or this fungus is considered endangered. Hence, you need to use the fungal supplement wisely. Frame a suitable dose in consultation with your dietitian and doctor. The clinically effective dosage of cordyceps is about 2-4 g/day of extract in pill form or an equivalent (9). You can add the powder to your beverages, chew on the whole mushrooms (under medical consultation), or pop the pills as advised. But, what if it backfires? Good question. Read the next section. Also, people suffering from autoimmune disorders, like rheumatoid arthritis, lupus, and multiple sclerosis, are generally asked to avoid it. There is not enough research done on the safety of the fungus for pregnant and lactating women. So, if you fall under any of these categories, it is better to stay away from cordyceps (10). Cordyceps is one of the non-toxic and trusted fungal supplements that has been used for decades. It is packed with polysaccharides, essential fatty acids, sterols, nucleosides, and other miscellaneous bioactive ingredients. Its impressive biochemical profile is responsible for the mind-boggling benefits for the human body. Try out a small pack of cordyceps after consulting your physician. 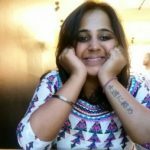 Share your stories, comments, and suggestions in the comments box below. Please feel free to share any relevant and validated facts you come across about cordyceps.